3 How Do Steering Wheel Locks Work? 3.1 How Do Steering Wheel Locks Deter Thieves? 3.2 How Easy Are They to Remove? Even the best anti-theft devices on cars these days can be defeated with little training. That means if someone is really determined to steal your car and has a little know-how, they are going to get it. That is unless they can’t steer it once the thief gets it started. That’s where a simple and inexpensive device called a steering wheel lock comes in very handy. A steering wheel lock can prevent someone who is able to gain entry into your vehicle from driving off with it. We will tell you all about these great anti-car theft devices in this article. How will we do that? We will introduce you to the qualities the best steering wheel locks have. That will be done through a series of informational excerpts and we have done a buying guide for you too. We even have done the research for you on some great products and will feature them in some steering wheel lock reviews. You should have no problems putting all this information together and then purchasing the right steering wheel lock for you. After researching many different steering wheel locks we have determined these models to be the best of them. Many times it’s very hard to improve on a best-selling product but that’s exactly what Winner International did here. They took their original best-selling ‘club’ steering wheel lock and made it into this improves LX version. It is one of the most highly rated steering wheel locks you will find in the auto marketplace. 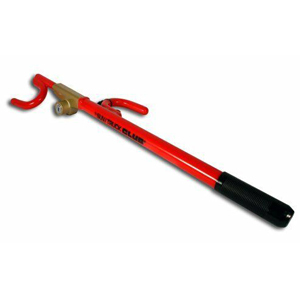 This steering wheel lock is simple to use, effective and affordably priced. 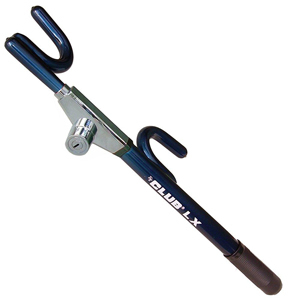 The Club 1102 LX is a mechanical locking device that can be put in place in seconds. It can only be unlocked with one of the non-duplicable keys that are supplied with it. The bright blue metallic sheen it has alerts would-be car thieves to its presence and the fact that they have little chance to defeat this steering wheel lock. The first year $2000 deductible guarantee, if your car is stolen, is a nice bonus too. Here is another fine version of the club from Winner international. This one is specifically designed to meet the needs of those trucks and SUV’s that have larger size steering wheels. That’s because it’s made with a longer shaft than other models of the Cub steering wheel lock. Thieves will have much trouble getting this lock off of any SUV or truck it’s placed on. It is sawing, hammering, prying and Freon resistant. It also comes with laser cut keys that can’t be duplicated and a virtually un-pick able quad style lock. Winner national is so confident in this product they guarantee that they will pay up to a $2000 deductible if your SUV or Truck is stolen while this device is in place. 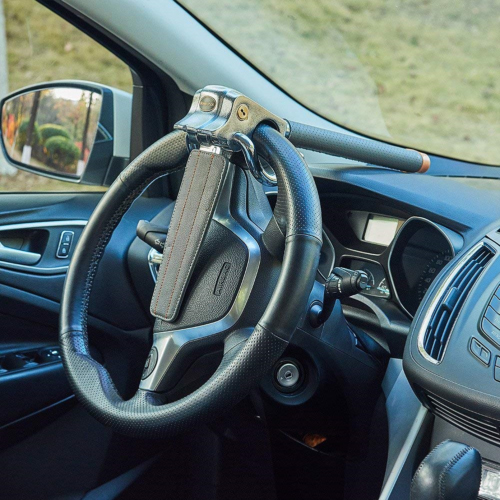 This is a very creative steering wheel lock from Blueshyhall. It is a lock that will almost totally restrict any movement of the steering wheel once it is locked in place. Thieves who know this style lock will not want to take the time to try and defeat it. If a thief does successfully cut this lock, it’s also made to trigger the car’s horn repeatedly. Blueshyhall has designed this lock to fit just about any size and style steering wheel. It features tough leather material and hardened steel. The three-direction lock design it has locks the steering wheel in two directions and towards the airbag. It also comes with two hard to duplicate keys and the key lock on it is virtually pick-proof also. 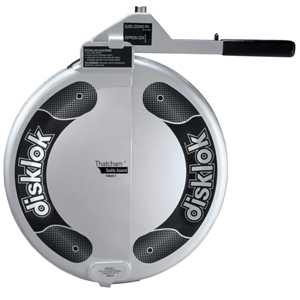 Here is a very interesting steering wheel lock design from Disklok. It is one of the few steering wheel locks that are actually placed over the entire steering wheel. This lock spins when it’s attacked and that makes it very difficult to defeat. It does a great job keeping your steering wheel from being cut and keeping thieves away from your vehicle ignition lock. This is an award winning lock that also comes with a seal of approval from Thatcham. That is a UK product testing firm that is highly respected like Underwriter Laboratories in the USA. This lock comes with 3 security keys and a nice 3-year mechanical warranty, It comes in three different steering wheel fit sizes so be sure to get the right one. Here is an oldie but goody steering wheel lock. 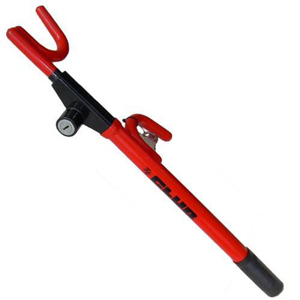 It’s the original Club steering wheel lock that was one of the first to hit the market. It’s so well-designed that it’s still one of the top selling steering wheel locks to this day. No review can better describe the quality and effectiveness of a long selling anti-theft product like this one. It features Cro-moly steel construction that is resistant to sawing, hammering, prying and Freon. The single pull lock design makes it very easy to install and take off. It also stands out due to its fire engine red color. Winner International will also pay up to $1800 in insurance deductible if your car is stolen while this device is in place within the first year after purchasing it. This steering wheel lock is the only keyless lock of the ones reviewed here. That obviously means there are no keyhole’s on it that can be easily picked to open this device. It uses a combination style lock to unlock it once set in place. This LC prime lock is made using reinforced metal alloy construction. That means it resists cutting, drilling, sawing, and prying. 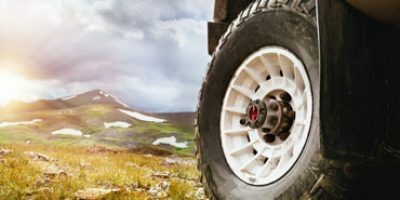 It will fit a variety of different cars, trucks and SUV’s that have steering wheels that are 7” to 15 ½”. 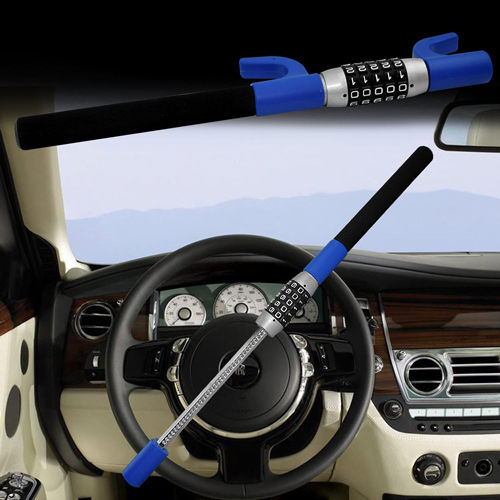 This versatile steering wheel lock can also be used as a self-defense weapon and to break out the auto glass in an emergency. 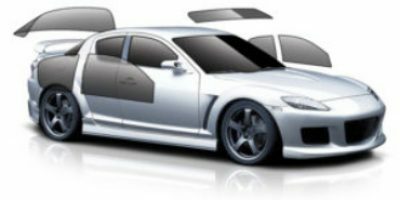 If you have ever read our best car covers or car alarm buying guide, you know these are very useful shopping tools. In this buying guide, we will point out the features of steering wheel locks that you need to look at closely when buying a new one. These are the most popular types of steering wheel anti-theft devices. They feature a long piece of tubular metal and two hooks that go over the edges of the steering wheel. Once in place, the steering wheel cannot move so thieves don’t try to steal that car. It is as much a visual as a physical theft deterrent. The drawback to using them is they do not prevent airbag theft. Also, if a thief has enough time they can cut the steering wheel in several spots to remove it. These type pf steering wheel locks go completely over the entire steering wheel. That makes it impossible to cut around. They also do a nice job of protecting against air bag theft. The disadvantage with these is that they are often the most heavy and cumbersome locks to put in place. They also can be expensive. The theory behind these locks is that they will protect both the steering wheel and brake pedal from being used. They are an excellent visual deterrent and do a nice job of immobilizing the steering wheel too. These locks can be a little bit of a nuisance to put on because of the length and they are vulnerable if the steering wheel is cut up. These locks do a great job of making a steering wheel almost impossible to move. Some also offer air bag protection in the form of triggering the horn to sound to alert anyone nearby a theft is taking place. They too are susceptible to the steering wheel being cut up and they are a little to the heavy side. There is one thing we know for sure about human nature. If you have a difficult time installing a steering wheel lock you will eventually stop using it. That’s why it’s so critical that any steering wheel anti-theft device you buy be easy to install and uninstall. Look for such characteristics in a steering wheel lock as built-in adjustability. These locks must fit securely in place in order to work. Adjustability has a lot to doing that and making them easier to install. Look for other intangibles that make them easy to take on and off also. When you look at the materials a steering wheel lock is made of you look for short term survivability. That’s because any steering wheel lock can be removed by a competent thief if given enough time and working with the right set of tools. The problem for thieves is they need to get into a car fast and make off with it quickly in order to avoid getting caught in the act. Having a steering wheel lock that is made of such materials as hardened steel or other steel alloys takes time to defeat. That’s time that a car thief is not willing to take to get the job done. So the tougher the material your new steering wheel lock is made of the better. Most steering wheel locks are locked and unlocked by means of a key. That means they have a lock mechanism that has a chance to be picked. The more sophisticated this lock mechanism is the harder it will be to pick or force open. Look for steering wheel locks that say they offer such things as quadruple or triple protection. That means any thief will have a difficult time picking that type of lock. You also want a lock mechanism to be made of tough metal materials too. That’s because the lock mechanism is a favorite place for would-be car thieves to try and drill or force a lock open. No, we are not talking about getting a steering wheel lock that looks good when on. We are talking about an anti-theft device that is highly visible when it’s on your steering wheel. Time is of the essence for auto thieves and when they see a steering wheel lock it will often deter them enough to move on to another easier vehicle to steal. So consider how well any steering wheel lock you are buying will show up at nighttime and in the daytime. It is an absolute must that any steering wheel lock that you buy properly fit your vehicle’s steering wheel. Lose anti-theft steering wheel devices are much easier to wiggle and pry off or gain access to their critical components to unlock them. Most manufacturers will have a guide to what size steering wheel their particular lock fits. If it’s not on the packaging, you should be able to find it on the manufacturer’s website. Please take the time to make sure any steering lock you buy fits your car or truck the right way. We mentioned how important a sturdy and sophisticated steering wheel lock mechanism is to your car’s security. Well, there are different security levels you get with steering wheel lock keys too. Ordinary keys can be easily duplicated or have blanks made for them and their associated lock mechanisms are much easier to pick. So look for a steering lock that uses such things as sophisticated laser cut keys that can’t be duplicated. The presence of these keys also indicates the presence of a more sophisticated locking mechanism. We have talked about the ease of installation. One of the biggest factors in that is how heavy and bulky your steering wheel anti-theft device is. It only makes sense that the more bulk and weight a steering wheel lock has the harder it is going to be to put on and take off. Some steering wheel locks way over 8-pounds and that is definitely something to consider if you are a man or woman who is slight and stature. Be sure to be aware of the bulk and weight of any steering wheel security device that you are thinking about purchasing. Are you one of those people who get frustrated when you don’t get good instructions on using a product? Well, that applies to steering anti-theft devices too. Even sophisticated steering wheel locks are useless if they do not come with good instructions on how to use them. How do you tell if a steering wheel lock has good directions for its use? You can start by downloading the use instructions from the manufacturer’s website and reading them before purchasing that lock. Reading online reviews can also give you some indication of well a manufacturer has written their lock use directions. Over the years we have seen many steering wheel lock startups come and go. That’s a pretty good indication that their product had some design flaws or did not work as advertised. 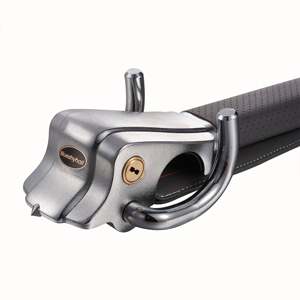 Some of the best steering lock manufacturers have been in business for years. This can be a good indication that their lock products really work. The reputation of a steering wheel lock company plays a role in your buying decision too. There are some proven brands out there that many people have come to trust. Again, reading some authoritative reviews can really help determine how good a reputation a certain company’s lock products have. Most steering wheel locks are made to be pretty strong and hard to defeat through their locking mechanisms. So that is not a big concern as far as a warranty is concerned. Hardened steel and other alloys are not going to corrode and break down anytime soon. What we like to see is a guarantee that a manufacturer offers that shows they have confidence in their product. A good example of this is the warranty on the Winter International ‘Club’ products that were on our top review list. All of these had deductible guarantees of $1800 – $2000 if your car was stolen by defeating one of these lock devices while in place on the steering wheel. To us, that’s a manufacturer who trusts their lock designs ability to stop a car thief. How Do Steering Wheel Locks Work? 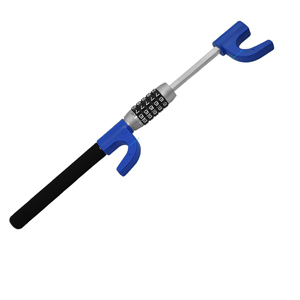 The best way to describe a steering wheel lock is it’s a type of lock that seeks to immobilize the steering wheel. In theory, this stops theft because even if a thief can get your car started, they are not going to be able to steer it away. It makes much sense when you think about. Remember, there are a wide variety of steering wheel anti-theft devices and not all of them work the same. With that being said, all of these different steering wheel devices attach to the steering wheel in a way that won’t allow it to move. They totally immobilize a steering wheel. How Do Steering Wheel Locks Deter Thieves? Many people think that the only thing a steering wheel lock does to deter theft is to lock the steering wheel in place. That is hardly the case. Steering wheel locks deter theft in several ways. Here are the main ones. Many times just a thief being able to see these devices is enough to make them move on. It takes time to defeat these devices. That means any thief that tries takes an increased risk that they will get caught. As we have mentioned they immobilize the steering wheel. If you can’t steer the stolen car you can’t drive it away. How Easy Are They to Remove? Most steering wheel locks are made out of heavy duty steel and also have sophisticated locking mechanisms and keys. All of this leads to them being very difficult to remove. Thieves rarely try it in most cases because of this. They are a type of lock that is virtually cut, pry, hammer and saw proof. The locks on them are also very hard to pick and the keys to them are difficult to duplicate. Any thief that does try to remove a steering wheel lock does it by cutting the parts around it and not the steering lock itself. It’s just too difficult to do. Steering wheel locks work great but there are other type of auto anti-theft devices that are popular to. Many people use them in combination with steering wheel locks to achieve an even higher level of vehicle security. With auto theft continuing to rise across America and other countries you can never have too many of these devices installed on your car. Question: If I have a factory installed anti-theft device do I still need a steering wheel lock? Answer: The answer here is it’s up to you but here is what we recommend. Every time you add an anti-theft device like a steering wheel lock you also increase the number of layers of protection you have for your vehicle which is a good thing. Question: Can you saw through the steel on a steering wheel lock to remove it? Answer: Yes you can but you will need some pretty sophisticated equipment to do it. Thieves cannot be stealthy and carry equipment so they rarely if ever try to saw through a steering wheel lock itself when trying to steal a vehicle. Question: Is air bag theft a big of a problem nowadays as they say it is. Answer: The answer here is yes. That’s why more and more steering wheel lock manufacturers are now making anti-theft steering wheel devices that protect the driver’s side airbag too. Also, check our roundup of the must-have car accessories and hitch cargo carrier reviews! Without a doubt using a steering wheel lock can be an excellent deterrent against the theft of your car. They offer a nice level of protection because of the amount of time it takes for a thief to defeat them. Given the way they work, how simple they are to install and how affordable they are, there is no reason why everybody should not own one of these. We have given you several different ways to find out how to find the best steering wheel lock for your needs. 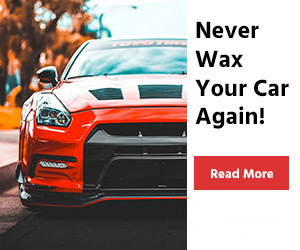 So be sure to use the information we gave you in the buying guide and the steering wheel lock reviews. It will really help point you in the right direction when shopping for a steering wheel anti-theft device. That way you can significantly increase the theft protection for your vehicle.